A chronology assembled out of facts and events is not quite a lie, but a limited or misleading truth. A chronology abhors context: it cannot adequately represent the messy and intertwining complexity of a human life, let alone the lives and pre-lives and afterlives of cultural artifacts. A chronology must begin with a beginning: an arbitrary point, no matter the subject, but one that assumes great power, slicing away all preceding dates and casting in shadow all that follow. When a historical figure is the subject of a chronology, the laziest beginning is also the most common. November 27, 1909: James Rufus Agee is born in Knoxville, Tennessee. A typical chronology delineating the life of Agee would start here and proceed through conspicuous milestones: schools attended, jobs held, places lived—and, of course, acts of writing. 1925: Agee, a student at the elite private school Phillips Exeter Academy, begins publishing poems and prose in the school’s literary journal. 1936: Agee and the photographer Walker Evans are sent on assignment by Fortune magazine to document the lives of white tenant farmers in Alabama. Fortune rejects Agee’s article, but the trip forms the basis of Agee’s 1941 book Let Us Now Praise Famous Men. 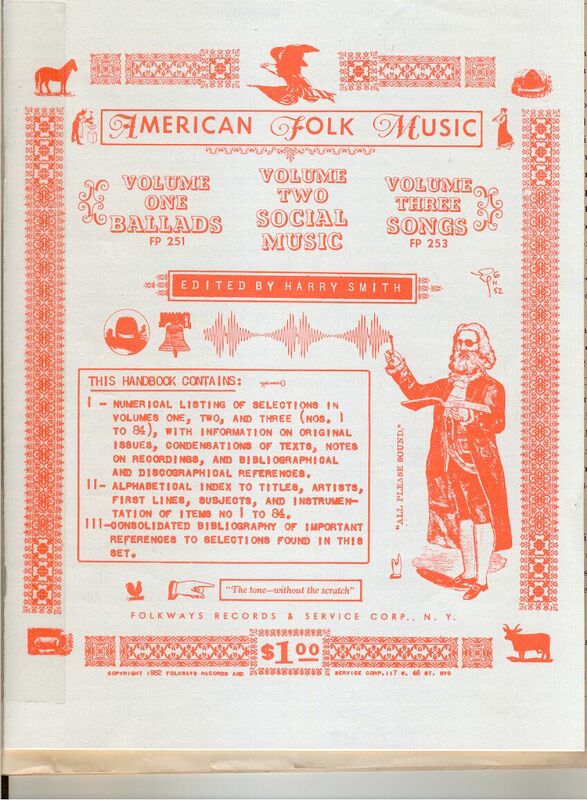 1952: Folkways Records releases American Folk Music, later re-named The Anthology of American Folk Music, compiled by Smith from his own collection of 78s. And so on, until Agee and Smith are dead. Their respective chronologies would not converge—there’s no known record of Agee and Smith ever meeting. They both lived in New York City during the early 1950s, though, and one can imagine a point where their timelines do cross, a kind of ghost point, perhaps denoting a handful of late-night hours at a dingy bar in Greenwich Village, talking about film (Agee the critic, Smith the filmmaker) or the music of the South (Agee the Southerner, Smith the collector), drinking too many drinks and lighting too many cigarettes. We don’t know. But their works do converge—in spirit, perhaps, and not chronologically. Let Us Now Praise Famous Men and The Anthology of American Folk Music are rarely discussed together, and yet they share some fundamental characteristics. Both seem like straightforward documentary efforts, one presenting information about the lives of white tenant farmers in Alabama, one presenting a selection of American folk music. Both mine the world of the rural poor in the American South and assemble this material into a kind of constructed artwork: a book based on first-hand observation, a music anthology comprised of pre-existing commercial recordings. They take as their ostensible subject, roughly, the same time period, the same social class, and the same geographic region. But there is nothing straightforward about either Let Us Now Praise Famous Men or the Anthology. Agee’s book is a kind of fever-dream, a dense and flowing text that compulsively absorbs every detail of its subjects’ lives, along with the thoughts and memories of the author, who is at war with himself and the journalistic project of his book. The songs assembled into the Anthology, combined with Smith’s idiosyncratic liner notes and package design, evoke a similar dream-like quality, although here, the dream edges closer to nightmare with every murder ballad and every banshee fiddle. Let Us Now Praise Famous Men and the Anthology share an impulse to accumulate subject material, arrange it, shape it, and present it as a kind of talisman against the rural poverty in which that subject material is rooted. They are deeply weird iterations of the forms they only superficially resemble; they are akin to mystical collages. And yet this common weirdness, this shared impulse, is invisible when the two are set as separate points on the straightforward chronologies of their creators. 1888: Emile Berliner, inventor of the gramophone, develops a new machine that plays rigid discs; the discs are cheaper than engraved cylinders and allow recorded music to reach a wider audience. By the close of the century, Berliner has released around thirty recordings of American folk songs. April 1904: The English occultist Aleister Crowley writes The Book of the Law, containing the key injunction of his mystic-religious system: “Do what thou wilt shall be the whole of the Law.” Almost fifty years later, Harry Smith (who sometimes claimed that Crowley was his father) includes this quotation in the liner notes for the Anthology. It is a fitting description of his editorial method, just as it might be of Agee’s and the force of authorial will that holds together the chaotic and disparate Let Us Now Praise Famous Men. “Do What Thou Wilt” was not invented by Crowley: it appears in the sixteenth-century writing of François Rabelais, and it is to him that Agee is compared in a generally scornful 1941 New York Times review of Let Us Now Praise Famous Men. The reviewer points out that Agee, like Rabelais, has a penchant for cataloging items, but that the book is self-indulgent and frequently overwritten—that Agee, in other words, “did what he wilt” a little too often. December 14, 1926: James Agee, a sophomore at Phillips Exeter, writes to Father James Harold Flye, a close family friend and father-figure (Agee’s actual father dies in 1916). Agee would write to Flye for the remainder of his life, and a selection from their correspondence is published as Letters of James Agee to Father Flye in 1962. In this letter, Agee reacts to the news that a close friend has committed suicide: “It brings me a little nearer [to] realizing the difference between such a thing in fact and fiction. … as I come into actual contact with more and more gore, I have a more ghastly experience as a background for my literature. … I realize that before long I shall be quite as disgusted and horrified by realism as, say, Mother.” Already, Agee is uneasy with the conventions of realism as a method of portraying human suffering. But he does not reject literature altogether: he strives to invent a new literary mode, a detail-obsessed, hyper-realism that is intensely self-aware, confessional, and fragmented. Let Us Now Praise Famous Men is something like a solution to his dilemma. 1926-1934: During these eight years the recordings that will comprise the Anthology are being made. They are all produced in the 78 RPM format, and many are marketed as “race” (black) or “hillbilly” (white) records, depending on the performer. Some of these performers are professionals who work in radio or vaudeville; most of them are not. In his foreword to the Anthology liner notes, Harry Smith, perhaps mistaken about exact recording dates, explains that he chose songs recorded between 1927 and 1932 (most of the songs fall within this time span). Here’s why: before 1927, the recording technology was inferior; after 1932, the Great Depression effectively killed off folk recordings. And Smith has another reason: “During this five year period American music still retained some of the regional qualities evident in the days before the phonograph, radio and talking picture had tended to integrate local types.” In other words, available within this period is a kind of regional authenticity that has not yet been erased by the homogenizing effects of mass culture. But in an essay accompanying the 1997 Anthology reissue, folklore scholar Neil V. Rosenberg suggests that Smith was being simplistic. “’Local types’ have always integrated with other cultural models,” he writes. “This sort of change is constant and was happening in musical systems before records, radios, and movies arrived.” This is surely true, but Smith is making a point. By insisting that the Anthology showcases “de-integrated local types,” he sets it against mass culture handed down from above, backed by large concentrations of capital and transmitted to huge consumer markets. The Anthology instead gestures toward an alternative, more democratic vision of culture produced from below. 1936: James Agee and Walker Evans travel to Alabama and live among tenant farmers for eight weeks; Agee drafts an article about the experience but Fortune rejects it. 1941: What began as a piece of magazine journalism appears as a 416-page tome. Let Us Now Praise Famous Men encompasses vast territories—factual, emotional, historical—and Agee’s narrative roams through them freely, often circling back to the rough shacks and wilted crops of the tenant farmers. The book is an assemblage of forms and contents: it begins with Evans’s photographs, and crams between its covers epigraphs, digressions, sections of verse, a cast list, an outline, a questionnaire, and an exhaustive (sometimes exhausting) cataloging of stuff in the farmers’ households. Agee bundles all this together and seals it in lyrical, self-reflective prose that acts like a binding agent. The book is beyond overdone, so much so that one cannot read it without knowing that this is the point. Agee is horrified by the material and spiritual poverty he sees, and ashamed by the fact that he is “a spy”—and yet he must do something, so he writes, and writes, and writes, and through the sheer force of narrative bathes his subjects in the glowing bright light of exaltation. (Hence the title, ironic and earnest all at once.) Agee writes against the deadening emptiness of extreme poverty by gathering an abundance of material and presenting it in a way that cries out: there are people here, and they are worth seeing. Upon publication, the book sells around 600 copies and soon goes out of print. Spring 1944: Agee publishes an essay, “Pseudo-Folk,” in the Partisan Review, attacking popular works of art that draw on folk traditions but end up as crass, unconvincing, or ridiculous: he derides them as a kind of “unsophisticated sophistication.” Agee focuses on jazz artists like Hazel Scott but also takes aim at John Steinbeck’s books, Paul Robeson’s vocal and theatrical performances, WPA paintings, musicals like Oklahoma!, and much else besides. Although he does not mention them, the families from Let Us Now Praise Famous Men haunt this piece: of course their lives make Oklahoma! seem ridiculous. But the same goes for Steinbeck, WPA artists, and others on the left whom Agee deems heavy-handed. The tenant farmers might as well exist on a different planet than the “audience-bourgeois” (Agee’s term) for whom “pseudo-folk” is intended, and Agee, almost a decade after leaving Alabama, cannot forget this staggering social distance. 1945: Harry Smith learns that Sara Carter, from the influential folk group the Carter Family, is living in California’s Gold Rush country. He tracks Carter down and finds her sewing patchwork quilts. In a 1968 interview with Sing Out! magazine, Smith recalls photographing the quilts and pressing Carter to reveal some kind of underlying pattern he believes is contained within both the quilts and her music: “I tried to get her to name certain designs which she thought resembled certain songs. She didn’t understand me or what I was trying to say. It was some kind of a Rorschach response-like thing.” The interviewer, John Cohen, asks Smith why he bothered with such a bizarre line of questioning. Smith replies, “Oh, some kind of compulsive activity. I don’t know what the source of it would be.” Cohen goes further: “I’m interested in why you would inflict this kind of test on Sarah [sic] Carter.” Smith basically shrugs it off—he is curious, that’s all. 1952: Smith’s eighty-four-track compilation appears via Folkways Records. Smith splits the Anthology into three volumes (Ballads, Social Music, and Songs) each with a corresponding color and element (blue/air, red/fire, green/water). He derives this scheme from the English occultist Robert Fludd, a contemporary of Shakespeare’s, and uses an illustration from a Fludd compendium for the cover art. Smith’s presentation is cryptic but also innovative: he rejects “race” and “hillbilly” categories, and is among the first to assemble so much disparate music, “folk music” widely conceived, and jumble it together in a kind of sonic collage. Smith writes the liner notes and lists the songs sequentially, with heavy black numbers and detailed source information along with newspaper-style headlines and his own summaries of the lyrics—implying that an answer to the riddle of the Anthology’s structure exists, but that it may be known only to Smith. By making the Anthology so clearly his own, Smith creates a feeling of inescapable subjectivity, and, as in Let Us Now Praise Famous Men, that subjectivity is charged with a sense of reverence. The songs describe murder and poverty, arduous labor and brutal circumstances, but assembled according to Smith’s vision, they gain an eerie and inscrutable power: their subjects are exalted, perhaps not in the morally anguished manner of Agee, but in a way that reflects Smith’s dark mysticism. 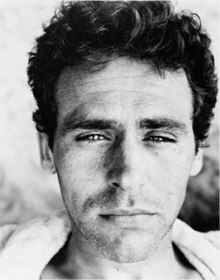 May 11, 1955: James Agee writes his final letter to Father Flye. It is never delivered—Flye, in New York to conduct Agee’s funeral, finds it on Agee’s living-room mantel, the envelope stamped and addressed. In the letter, Agee describes a strange idea he has for a movie. Part one would establish the premise: how elephants, gathered in Africa, are God’s “chosen people,” and how God one day tells them that a new age is beginning. The elephants, God says, will be “taken to be looked upon, to be regarded as strange and as wonderful and—forgive me, my dear ones—as funny.” The elephants are captured and taken away. Part two then moves “from fiction to fact,” and Agee finishes off his letter with a list of dates denoting horrible, actual deaths of elephants in captivity: one shot by a religious farmer, another hanged, thirty six of them burned alive in a circus fire. In other words, a chronology. The idea is barely a sketch, a sketch of a sketch, and yet it gestures toward a grandly tragic narrative about the moral implications of suffering when it is recorded and compiled. “Almost nobody I’ve described it to likes this idea, except me,” he writes. “It has its weakness, but I like it. I hope you do.” Then he signs his name and seals the letter and figures he’ll get around to mailing it eventually. 1950s-1960s: The American Folk Revival is underway, and the Anthology is its sacred text. Folk revivalist Dave Van Ronk, speaking at a memorial for Harry Smith in 1992, puts it this way: “I am here to acknowledge a debt of honor that I, and my whole generation, owe to Harry because of that Anthology, which was the Bible for hundreds of us, or more … I think it really changed music in this country.” In 1991, the Anthology wins Smith a Grammy Award for Lifetime Achievement. 1960: Let Us Now Praise Famous Men is reissued, sells widely, and develops a cult following. Perhaps this is the logical consequence of Agee’s rising fame (his posthumous novel A Death in the Family wins the Pulitzer Prize in 1958). Or perhaps the once-forgotten book required the right audience, one newly enamored of folk music and American history, and increasingly drawn to the dark corners of the American South. November 27, 1991: Harry Smith dies in the Chelsea Hotel, singing to himself. 1997: A book by the critic Greil Marcus appears under its first title, Invisible Republic, and is later republished as The Old, Weird America. Both titles refer to Smith’s Anthology, even though the book is mainly about the “basement tapes” recorded by Bob Dylan and the Band in 1967. Marcus argues that the Anthology maps out a mythical territory, a town he calls “Smithville”: “a mystical body of the republic, a kind of public secret … a declaration of a weird but clearly recognizable America within the America of the exercise of institutional majoritarian power.” It is this repressed but irrepressible American space, somewhere between history and folklore, between the living and the dead, that Dylan further explores in the basement tapes. Marcus’s analysis is convincing, at times virtuosic, and yet he overlooks an essential consideration: the Anthology might well conjure up a phantom world, but what does it conjure away? Like Agee, writing madly against deprivation and casting spells against his own torment, Smith (truly a madman) designed the Anthology to assemble, absorb, and perhaps transcend the torment that audibly permeates these old, weird songs. Some of that torment is explosive, like the murders described in Smith’s faux headlines which Marcus uses to sketch out “Smithville” (“Gaudy Woman Lures Child From Playfellows; Stabs Him as Victim Dictates Message to Parents,” for the song “Fatal Flower Garden”). But much of that torment is the mundane, chronic type known well to the poor and the marginalized—especially in the American South, especially in the early twentieth century, when scarcity, isolation, and dread were familiar companions for many millions, black and white. This is the Anthology’s actual world, the historical source of the music it collects. “Smithville” may be the ghostly vision Marcus says it is, but it’s also a place where praise is bestowed on the obscure and tormented at the fringes of American society: the Anthology says, there are people here, and they are worth hearing. 2013: A draft of Agee’s original article, believed lost for decades, is published by Melville House as a slender book, Cotton Tenants. This is the seed of Let Us Now Praise Famous Men, and, like a seed, it’s a more compact and streamlined object than the great leafy thing it would grow into. But Cotton Tenants isn’t really an origin, at least not now, not anymore. Today it’s an aftershock, an echo of that bewildering, overstuffed book James Agee wrote as a kind of penance for being alive in a world where people could be so poor—just as the reissued version and lost volume of the Anthology are echoes of that mysterious compilation Harry Smith slipped into the American consciousness more than half-a-century ago. Let Us Now Praise Famous Men and The Anthology of American Folk Music, idiosyncratically assembled works that shared a certain impulse aborning, now share an enduring afterlife. They haunt this nation still—and you know the old saying about ghosts and unfinished business. Image credits: Featured image, image #1, image #2, image #3, image #4, image #5, image #6, image #7.